It’s ironic that the first country to recognize the United States as an independent nation is not known by many Americans. 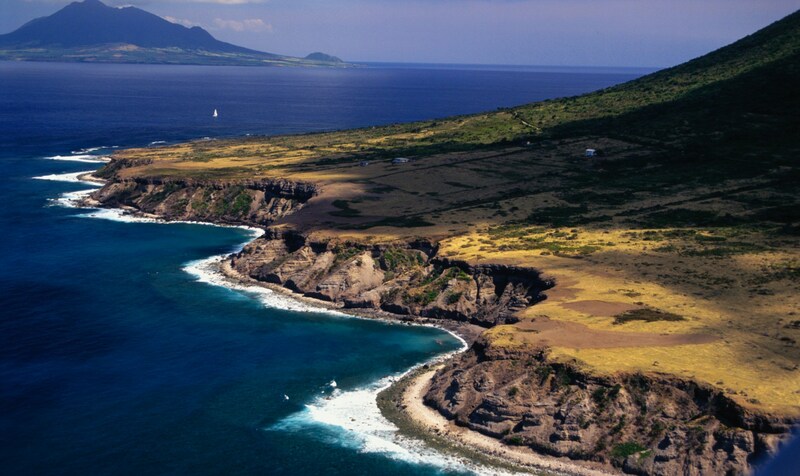 Sint Eustatius, more commonly known as Statia, has gone mostly unknown as a Caribbean tourist destination as well. Statia is a special municipality of the Netherlands located a quick 20-minute plane ride from Sint Maarten. Statia was once a huge global trading post, which is evident by the historical ruins dotting its coastline. And while the current population is small, with approximately 4,000 residents, it is by no means lacking in spirit. I got to experience it firsthand. In the fall of 2016, I went on an amazing trip to the island, and it’s definitely a place that should be known. On Nov. 16, 1776, an American ship sailed to Statia and announced its arrival by firing a 13-gun salute, which represented the colonies that had rebelled against Britain. Statia fired back the appropriate number of shots to acknowledge the event, known historically as the First Salute. The importance of this moment was acknowledged by U.S. President Franklin Roosevelt, who came to Sint Eustatius in 1939 and presented a plaque that is currently on display in Fort Oranje. Later in 1777, Morocco was the first country to formally recognize the United States, but Statia still holds this moment close and celebrates annually with Statia Day. Thousands of ships came to the island from Europe, America and Africa. Once slavery ended, the island saw a quick economic decline, and the population quickly fell as well. This is the story of many Caribbean islands, but because Statia was never fully built up, much evidence of the past can still be experienced — in some ways, it almost feels like time stopped on the island. A variety of interesting sights exist both above and below water. The island is known for blue beads, which were given to slaves by the Dutch as payment. After emancipation, it is said the slaves threw their beads in the air to celebrate, and they are still found on the island to this day. History is part of what makes this island so special, but it is definitely not your typical tourist destination. I’ll be honest. This isn’t a place I would recommend for a high-end luxury traveler or someone who’s focused on activities. Nature, simplicity, history and friendly people are what you will experience. The beach area on the island is minimal, but there are a few areas on the Caribbean Sea side that are nice for swimming. Diving is a very popular activity on the island as well. The Quill, a dormant volcano, has many paths to explore from the inner volcano to peaks where you can see neighboring islands. I did this hike and highly recommend it. Oil is the main economic driver for Statia. The American company NuStar Energy operates an oil business on the island that supplies oil to neighboring areas. This business attracts a variety of nationalities across a very small population, which is interesting, and also contributes to the virtually nonexistent crime rate, as many people are involved in the business. The second-biggest employer is the government. It is common to see cows, goats and sheep anywhere you go, although they do mostly keep to the higher mountain area. There are efforts to gather and fence in the animals, but at the moment, they are free, which adds to the unique feel of the island. The Dutch influence on the island can be seen in street names, the style of the houses and more. Dutch is the official language of the island, but English is spoken everywhere. A version of this article was published in October 2016.